I knew going into to this session that there were five daughters. Five! Can you even imagine? I did the total stupid thing, and asked them how many bathrooms they had…..because I am sure they have never been asked that before. Three, for those of you that were still thinking about it. The two cute little girls in the images up above are Jaelyn and Brianna, and they are super funny. They are like a little comedy team. One minute they would be hugging each other and giggling, the next minute, it was like a UFC match. Only way cuter. It was like watching fluffy kittens wrestle. 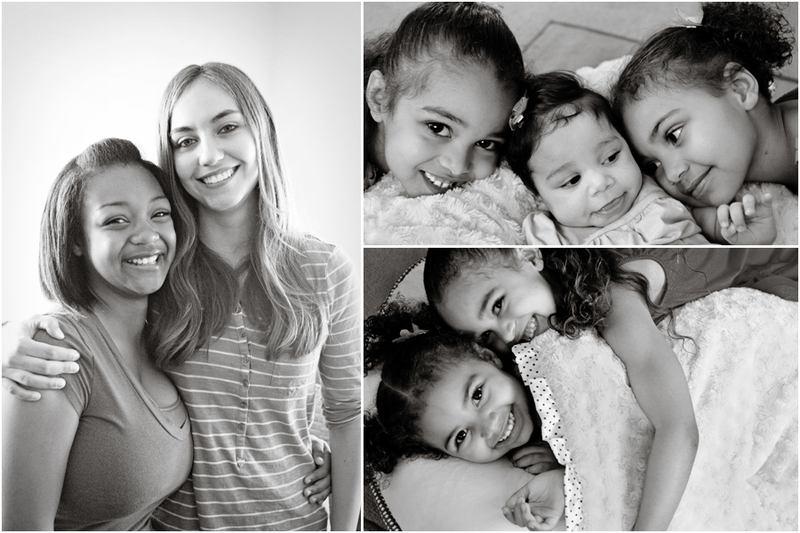 Imani and Danielle are the two oldest, and Hailey is the newest addition to the family. So basically, Ebonnee and Shawn have girls in high school, preschool, and diapers. Impressive, right? It makes me tired just thinking about it, though.